South African brandy is experiencing an unprecedented golden era being considered among the best in the world. It has over years demonstrate a consistent ability to perform outstandingly well on international competitions. Being over 330 years old, the South African industry is rich in tradition and history. What better way is there to get an inside look at the culture and enjoy brandy tastings and tours at the distilleries on the famous Cape Route 62? 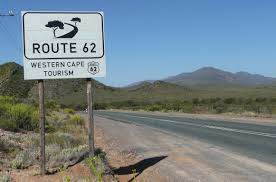 This will include stop-overs at the towns of Worcester, Robertson, Montagu, Barrydale, Calitzdorp and Oudtshoorn. And if you start from Cape Town, include the KWV in Paarl as your first stop. The KWV House of Brandy in Worcester (approx 110 km from Cape Town) is the largest distilling cellar in the world. Tastings and tours are available. 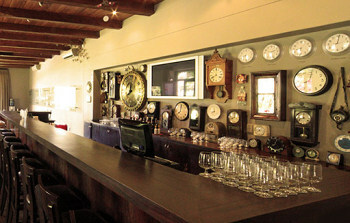 In Robertson The Klipdrift Distillery mix informative tastings and tours through the world class distillery with entertaining glimpses into the history of its brandies. Klipdrift has a restaurant, Die Brandewyntuin, where homemade South African fare gets a brandy twist. The Kingna Distillery is located 18 km outside Montagu on a country setting that offers beautiful scenery surrounded by mountains and farmland. Their first pot still brandy was produced in 2010. In Barrydale the Barrydale Cellar has added a third pot still brandy to its popular and award-winning duo. The town offers the visitor many things to do including handmade arts and textiles. In Calitzdorp the Boplaas Family Vineyards has an illustrious heritage in the production of fine brandies. Boplaas also became the first cellar to release an estate brandy, after the change in legislation in 1994 allowed this style. Oudtshoorn, already famous for ostriches and the Cango Caves, has two great distilleries nearby. Grundheim is renowned for its witblits (a colourless white spirit) and Mons Ruber makes estate brandy in a traditional pot still. This Brandy Route is one of two dedicated routes in South Africa. The other follows a path through Wellington, Paarl, Stellenbosch, Franschhoek and Grabouw. Worcester, the first stop, is approx 110 km from Cape Town and thereafter the stops are conveniently close. A self-drive journey is ideal to explore and learn more about South African brandy culture.